Democratic New Jersey Sen. Cory Booker is now allowed to run concurrently for president and Congress for the election year of 2020, after the governor of his state recently helped pass a law. Booker is a favorite among the Democratic Party to announce his candidacy for the presidency. His first Senate term is also expiring and it seems likely he’ll run again for the seat. The way Booker has been traveling of late, stumping for fellow Democrats, appears to be an indication that he has presidential aspirations — so much so that Republicans have mocked that ambition. 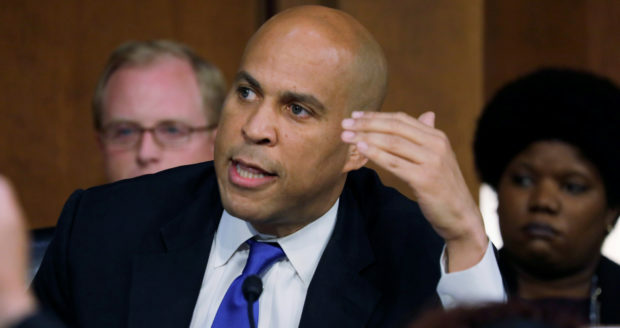 Booker is not referenced in the legislation but, according to Politico, N.J. Senate President Stephen Sweeney said the intent of the bill was to avoid potential legal challenges to any dual candidacies for Booker. “I think it was clear, but this was just to stop any lawsuits to slow him down,” he said. The senator was very outspoken during the Senate committee hearings for the nomination of Judge Brett Kavanaugh to the Supreme Court. Booker proclaimed that it didn’t really matter if Kavanaugh was “innocent or guilty” of the sexual misconduct allegations that surfaced prior and during the hearing.